Since my last post about the new Mortal Kombat video game, very little else has occupied my thoughts. I've cruised through more than 2/3 of the Story Mode, beat the Arcade Ladder twice, and am slowly but surely climbing my way up the Challenge Tower. I know, it doesn't seem like much, but I'm currently in the midst of a stretch where I'll be on the road 12 out of 16 days. Seeing as I'm away from my PS3 so much (oh yes, and my girlfriend, friends, and family), I've had to find other ways to get my Mortal Kombat fix. I bought the strategy guide so I could commit all the special moves, combos, and Fatalities to memory. I made the Mortal Kombat Wiki my homepage. 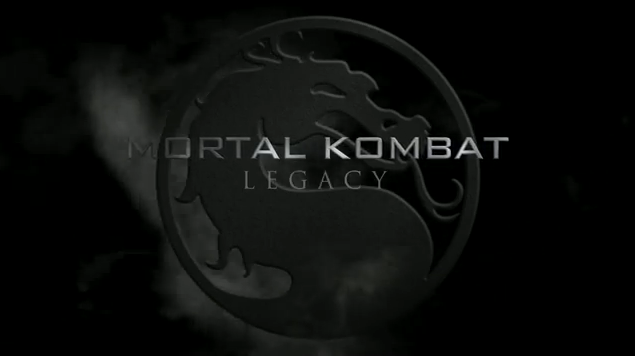 And I started watching the new Warner Bros. funded webseries Mortal Kombat: Legacy, presented by machinima.com. I remember nearly a year ago when the "trailer" for this project first appeared on the Internet. I even posted my thoughts on the subject right here on this blog. Turns out I was pretty much right in my assumption of its purpose: the 8-minute short, directed by Kevin Tancharoen, was in fact a proof of concept for a film his fresh new take on the Mortal Kombat universe. Anyone who's heard anything about the Mortal Kombat video game series (or who can infer anything from the title) knows it's based around fighting. Mano a mano combat, face to face with your opponent across a 2D space, delivering punches and kicks that would cripple an elephant, and hurling supernatural projectiles across the screen. The Tournament devised by the Elder Gods to prevent Outworld from taking over Earthrealm? Scorpion's quest for vengeance against Sub-Zero? Sonya and Jax's pursuit of the villainous Kano? These are mere afterthoughts; flavor text to flesh out the characters whose real lives unfold during the arcade gameplay. Don't get me wrong, I'm a dedicated follower of the Mortal Kombat mythology. I'm absolutely head-over-heels for the cinematic nature of the new game's Story Mode, which takes you on a step-by-step journey through the events of the first three games, but with a J.J. Abrams's Star Trek -esque twist: the best kind of time travel, where the initial continuity remains intact, and everything already happened the way it did the first time around. We just get to see it happen again with the main characters armed with a little extra knowledge about the future... that is, one possible future. It gets very complicated, what with potential alternate timelines... I suggest you play through the game 5 or 6 times so you truly understand. I know I will! But the reason the story from the Story Mode is so successful is that it's built around the fighting, around the tournament. We begin in medias res, and learn about the characters as we see them fight. Because, let's face it, Mortal Kombat is a fighting game first and foremost, not a character developing game. Those lengthy character introductions and in-depth plotlines are best left for the tutorial levels on games like Grand Theft Auto. Mortal Kombat: Legacy falls into the exposition trap so expertly avoided by the new game. The first two episodes focus on the backstory behind special forces agents Sonya Blade and Jackson "Jax" Briggs and their mission to hunt down Kano, the leader of the Black Dragon crime syndicate. If it sounds more like a tactical SWAT story than actual kombat, it is. The next episode outlines Johnny Cage's failed acting career. And the fourth episode is entirely in "a long, long time ago" format, explaining the status of some of the more obscure realms in the MK universe. And while these circumstances definitely define the characters, I'd question the decision to feature anything more prominently than the actual one-on-one fighting in anything attempting to stay true to the Mortal Kombat feel. The one-on-one fighting isn't bad, when it happens. But the only thing in the albeit-impressive choreography that harkens back to the fighting styles in any of the Mortal Kombat games, is a fleeting Johnny Cage nut punch. And while it's cool to see 7 of 9 and Spawn running around throwing punches, I want to see the campiness of the "Gotcha" Grab or the physics-defying Cannonball Roll. If I wanted to see a plain ol' choreographed fight, I'd tune into pro wrestling. There's a lot that's positive about Mortal Kombat: Legacy. I'm a big proponent of multiple coexisting incarnations of the same intellectual property over a wide range of different media, and the double whammy of hit video game and viral Internet sensation is going a long way to bring back 1994 make Mortal Kombat a viable and lucrative franchise once again. And while I have some issues with Kevin Tancharoen's storytelling tropes, I do have an immense amount of respect for the guy. We're talking about a die-hard fan who was able to convince the current shepherd of the Mortal Kombat series, one of the game's co-creators, to let him express his vision. As new episodes come out, I'll give them a cursory glance. But seeing as I'm somewhat of a traditionalist as far as the Mortal Kombat kanon is concerned, you'll be able to find me in front of my PS3, climbing the challenge tower, waiting for the network to come back online so I can download the Klassic Sub-Zero alternate costume.